As every homeowner knows, maintenance is a never-ending chore. From replacing windows in spring to cleaning out your gutters in the fall, upkeep is par for the course. And it’s not limited to outdoor tasks. Whether you own, rent, or lease, there are tons of indoor chores (cleaning, dusting, organizing, etc.) to keep you busy, too. 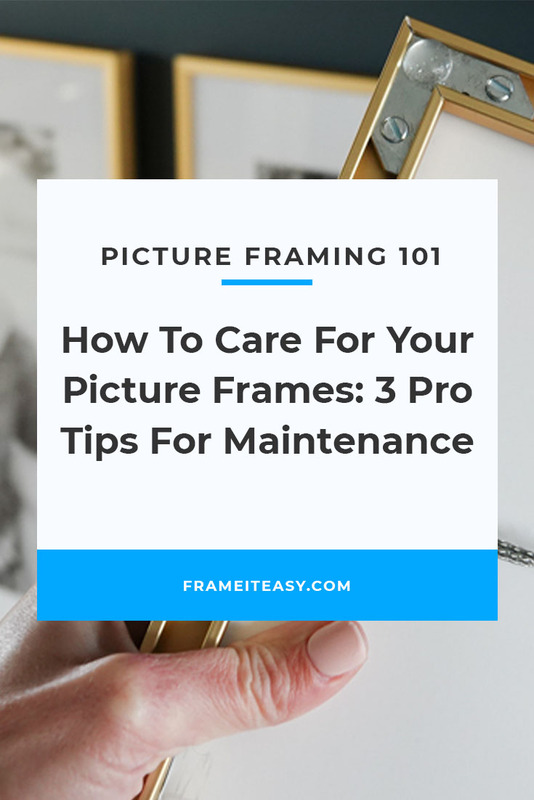 For anything you care about, regular maintenance is necessary, and caring for your picture frames is no different. But rest assured — most picture frames should be fairly low-maintenance and easy to care for! In this post, we’ll talk you through a few simple measures to make sure your frame stays looking as good as it was the day you got it. Things collect dust. Inconvenient, but true. And the accumulation of dust is often more obvious when something is clear, such as a piece of glass or acrylic like those covering your picture frames. Acrylic has a higher electromagnetic charge, which makes it attract more dust than glass, but it’s okay — you can dust & clean your acrylic (as well as the frame itself) with a microfiber cloth. Here at Frame It Easy we send a microfiber cloth with all our frames, but if you ordered from a company that doesn’t include one, they can be purchased online or at just about any department store. Microfiber cloth is the only material we recommend to clean acrylic. A dry microfiber cloth should be sufficient in cleaning minor dust accumulation and fingerprints, but if the cloth alone doesn’t help, you can use a little water and mild soap to gently clean your picture frame cover. For deep cleaning acrylic picture frame covers, we recommend plastic cleaners such as Brillianize, Novus Polish, or Ammonia-Free Windex. While using some mild soap and water on your frame cover is acceptable, in general, you don’t want to get your picture frames wet. Keeping them away from water sources is always a best practice. 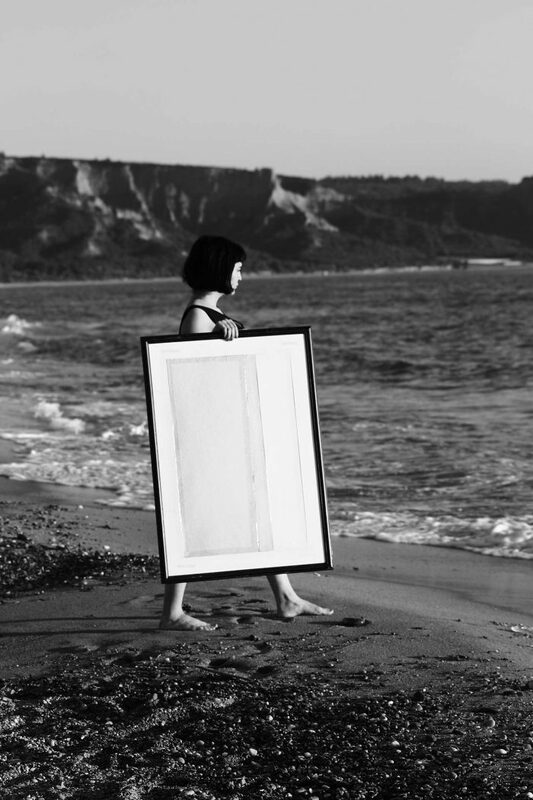 Unless specifically noted as such, most picture frames are not made for use outdoors and should be kept inside. 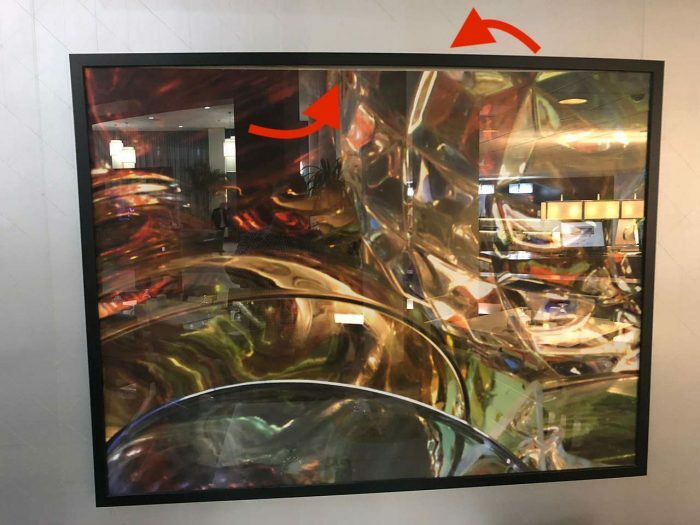 Any liquid, rain, or precipitation could leak into the frame itself, damaging your art, so it’s important that you keep your frame in a dry environment away from any faucet or direct source of water. While here at Frame It Easy we use quality and relatively low maintenance frame materials (such as aluminum and poplar), it’s still a good idea to keep an eye on any frame over time to see if it shows signs of bowing. With humidity and heat variables there could be a chance of your frame reacting poorly, so making sure your frame isn’t beginning to bow is a good precautionary measure. Hanging a frame in an area with higher humidity or changing temperatures — such as above a fireplace or in a bathroom — leaves it more susceptible to warping issues. Store bought picture frames are often made with sub-par materials that warp and bow easier, so that is something to keep in mind depending on where you purchase your frame. Also, the way you hang your picture frames — including the hanging hardware you use — can impact the frame’s longevity. Here at Frame It Easy our larger wood frames come with hanging brackets instead of hanging wire to prevent bowing. If you receive a frame from us that is over 30” wide, make sure you keep the brackets on and use the hanging equipment that we supply. Don’t get your frames wet. Use proper hanging hardware to prevent bowing. Use a microfiber cloth to occasionally dust. As we noted earlier, picture frames are fairly low maintenance so there isn’t much to do in order to keep them in good condition. Adhering to the above tips will ensure your frames can be enjoyed for years to come!